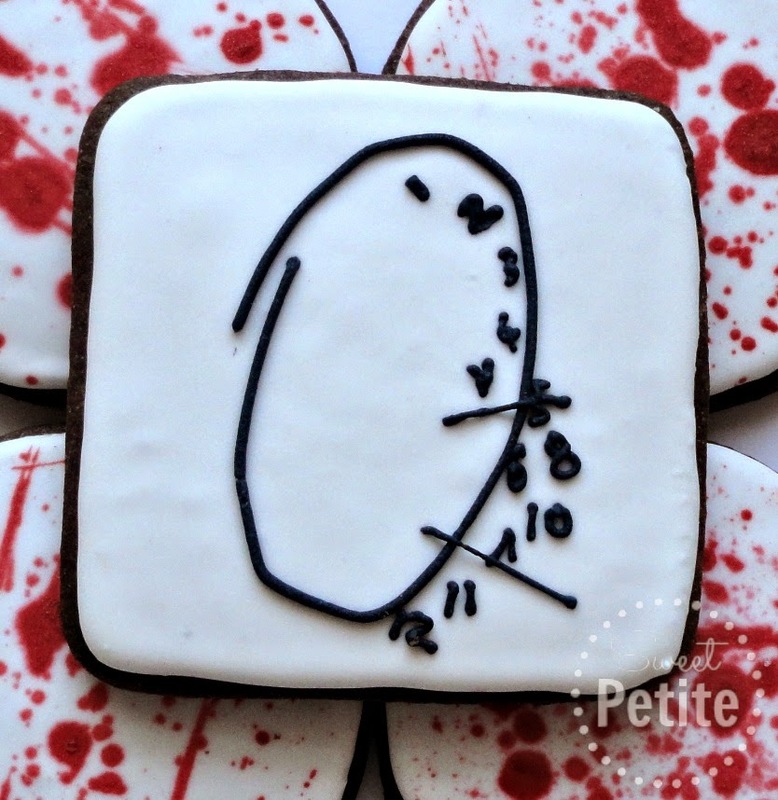 Sweet Petite - Hannibal Biscuits for an Avid Fan!!!! 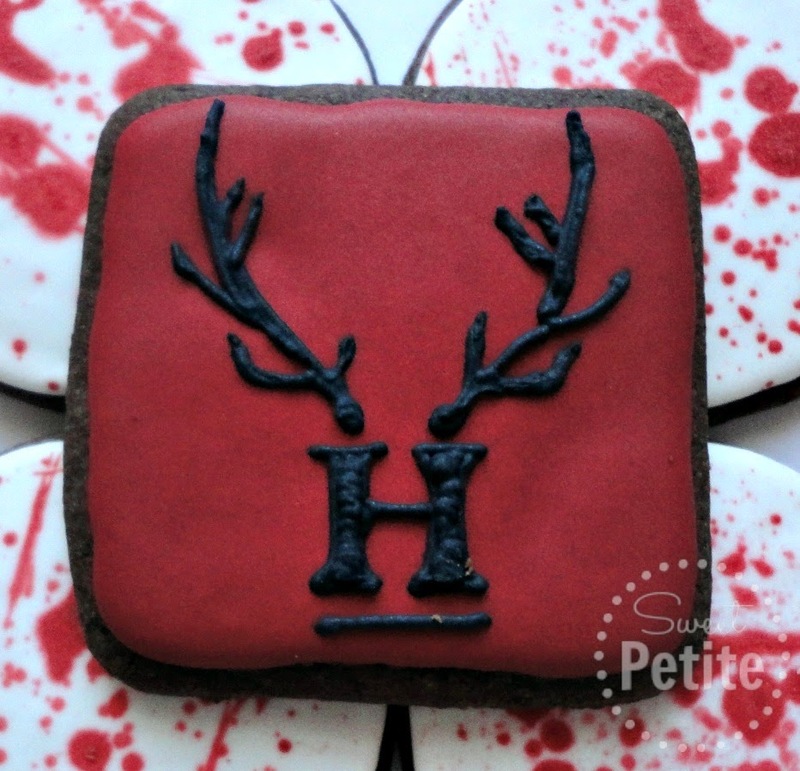 Hannibal Biscuits for an Avid Fan!!!! OK I may have mentioned my love for all things Hannibal Lecter once or twice but I’m going to mention it again!! I adore the books and the films (although Hannibal Rising not so much!) and last year when I heard the series was coming out I was excited but a little apprehensive; Anthony Hopkins is Dr. Lecter, and no one else! Right?! Oh my god how wrong was I? Mads Mikkelsen is an epic Dr. Lecter, as are the rest of the cast. I’m still not convinced with Alan Bloom becoming Alana but hey, 21st century right?! 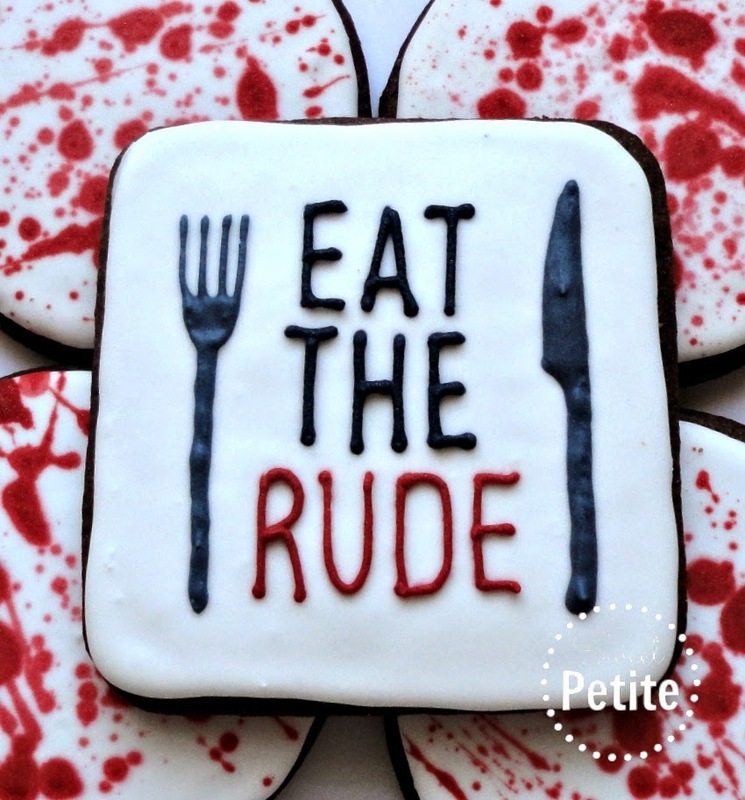 The series is wonderfully gory, gripping and the dark humour (Rolodex of the rude poeple to add to his freezer!). I also get giddy with excitement whenever I hear a book reference too!! Sad? Yes! So the second series is upon us then (half finished in the US mind but don’t get me started!) and I’ll be staying up passed my bedtime for the next 13 weeks, being grossed out and swooning just a little (a lot!) over the aforementioned, Mr Mikkelsen! So what better way to welcome it back? Any other normal person would just tune in, but I’m not exactly normal and since every TV show/picture/fabric/greeting card I see is earmarked to be turned into a biscuit sooner or later! I had probably too much fun making these! 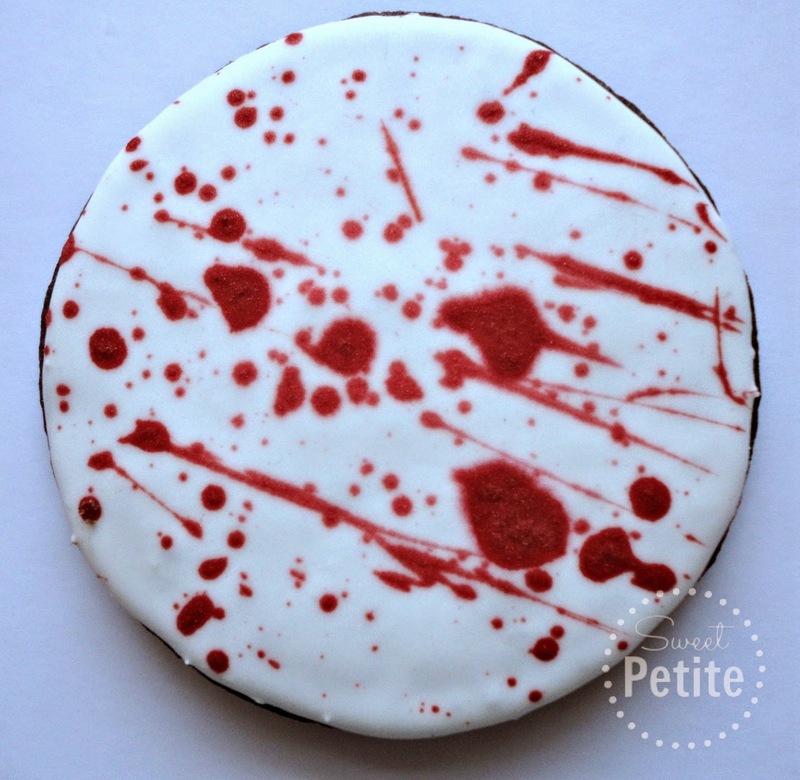 Especially the blood spatter ones. 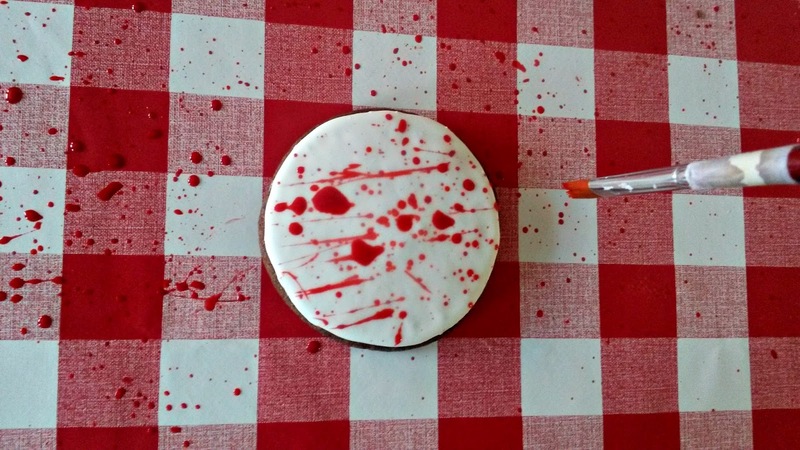 Using dried, flooded white biscuits and some thinned red icing I loaded up my paint brush (more than you would normally) and held it down, really quite close to the side of the biscuit, not over it. And just fanned the bristles of the brush so it splashed over the biscuit. And pretty much everywhere else in the kitchen! My table chairs, walls, dishwasher, washer… you get the idea! Be careful if you try it!! So are you a fellow Fannibal? Will you be watching? Sky Living 10pm Tuesday the 6th May!! Tune in, but have your midnight snacks early, you might not have much of an appetite by the end!! Bring on the gore! !